System requirements: python 2 (2.6 and higher), python openbabel library, python numpy library. Updates in new version (2016 sep): supports multi-residual lipids, numerates lipids correctly. 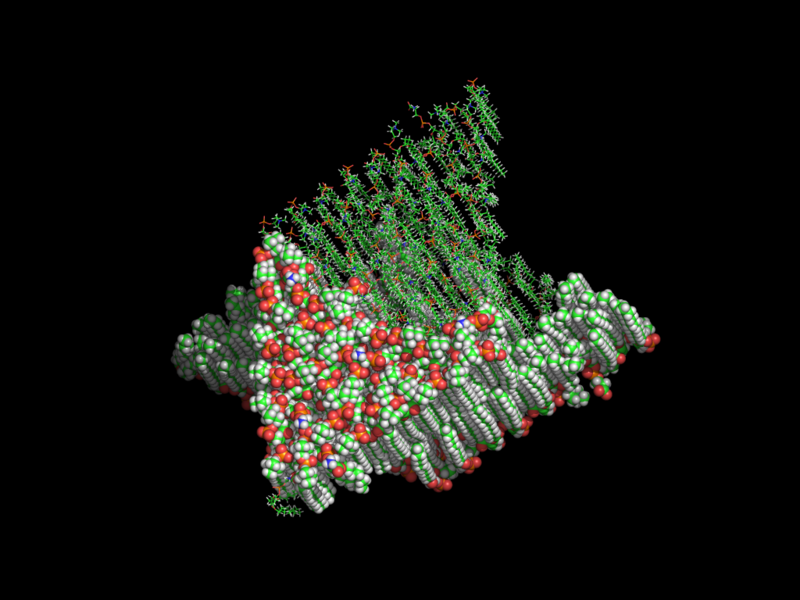 If you are looking for topologies and structure files for lipids please read this post. Periodic boundaries should be set after script finished its work. You can set (step*n) for x-box and (step*m*sin(pi/3)) for y-box. In the archive you can find 3 lipid structure files: DPPS, DPPC and cholesterol and GROMACS topologies for each lipid in OPLS-AA forcefield. Of course, you can feed to script any of your own molecules. You can view an example of script work in the figure. You can try command-line operated version of this script: memgen.py. 2 комментариев " Python membrane generator for MD simulations "